Commenting on this programme, Devanee Jayathilaka, DFO, Gampaha Department of Forestry said, “We have joined CBL and the Thuru team to help increase the protected forest cover near the streams in the Yakkala area. Throughout Sri Lanka, Gampaha has been highlighted as an area which is depleted in trees with deforestation taking place and proportionately only 2% of land area is covered by forest even lower than in the populated Colombo district. 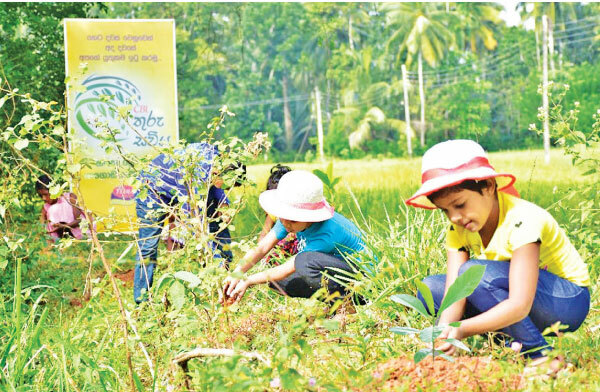 The area chosen by CBL is an area ideally suited for their Thuru Saviya initiative. As a Department we appreciate their support towards our reforestation drive. We are engaged in several other unique projects and urge other corporates to join our cause. CBL has come forward to assist us voluntarily as they understand the grave importance of planting trees and we thank them wholeheartedly”.